When Congress eliminated earmark spending a few years ago there was a legitimate question about whether the Congressional Pig Book – the much-anticipated annual report from Citizens Against Government Waste -- would continue to serve much purpose. The review of special programs and projects inserted into federal appropriations bills took delight in spotting particularly egregious examples of pork barrel spending that the earmark ban was supposed to eliminate. As it turns out, even in the absence of actual earmarks, members of Congress have still found ways to channel money to pet projects and services with narrow benefits, so the Pig Book continues to root them out. The most recent edition was published on Wednesday. Related: Has the Navy Wasted Billions on Its New Combat Ship? In fact, according to a statement released by CAGW president Tom Schatz, “The 2016 Pig Book shows that earmarks are making an unwelcome comeback in Washington. Here are the 10 largest items identified in this year’s edition, all drawn from CAAGW’s database. 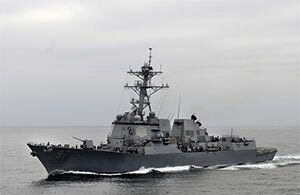 DDG-51 Arleigh-Burke Class Destroyer. At a cost of $1 billion for a single ship, the demand that the Pentagon acquire another destroyer -- one not requested by Defense officials -- stands as the single largest item on this year’s list. Peer-Reviewed Defense Department Medical Research. A combination of congressionally-directed health research programs within the Department of Defense will cost the country $278.7 million this fiscal year. 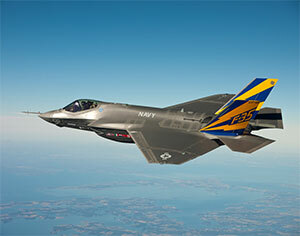 F-35 Joint Strike Fighter. Known for being vastly over budget even as it consistently underperforms, the F-35 has become a symbol of waste and inefficiency. Nonetheless, Congress mandated the spending of an additional $255 million on the program -- enough to buy just two planes. Army Corps of Engineers. Long a target of government watchdog groups, the Corps is often tasked by lawmakers with infrastructure projects that have suspiciously limited local benefit. This year, CAGW claims to have identified $211.2 million in wasteful spending. Fund for the Improvement of Education. Despite the lack of a request from the Obama administration to fund FIE, which distributes grants to state and local education programs, Congress directed $163.9 million to the program. Bilateral Economic Assistance -- Democracy Fund. Despite attempts by the Obama administration to do away with this State Department program, it has received a steadily increasing appropriation which this year reached $150.5 million. Flood Control. This one is the Army Corps of Engineers again. 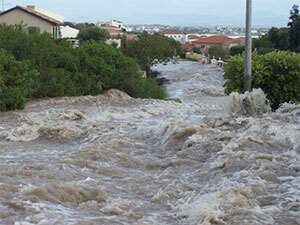 The issue here isn’t that flood control is bad per se. It’s that of the $125 million Congress allocated to the program, much of it appears likely to go to projects more associated with lawmakers’ personal preferences than with hard science. Traumatic Brain Injury and Psychological Health Research. There’s no real question about whether it makes sense to fund research into TBI, especially given the toll it took on US troops serving abroad over the past decade. The question is whether or not Congress should be directing that the research -- and the $125 million Congress appropriated for it -- belongs within the Pentagon, which is where the money is going. Peer-Reviewed Breast Cancer Research. Again, nobody is claiming that breast cancer shouldn’t be researched. But is the Defense Department the best place to conduct it? Apparently Congress thinks so, because this year’s appropriation is for $120 million.